Tim Nichols of San Antonio, Texas sent us these pictures. We wanted to share them with you. Tim has an exclusive salon providing full service to his clients. See the dramatic results he has achieved with our product line. As a salon owner and stylist for over 35 years I’ve come across many clients with extremely damaged hair. 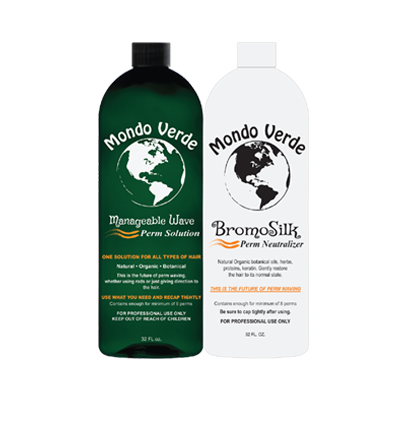 Normally, I would turn them away; but now, because of the technology behind the Mondo Verde products, I am able to not only repair their hair, I can color correct without causing further damage. This client had pre-bleached the hair and used about 4 different types of colors in her hair that she had done herself using over the counter products with metallic dyes. The hair was extremely porous and to the breaking point. The first step was to use Mondo Verde Clean Start Shampoo to remove any buildup and “clinically cleanse” the hair. After rinsing the shampoo it was towel dried. 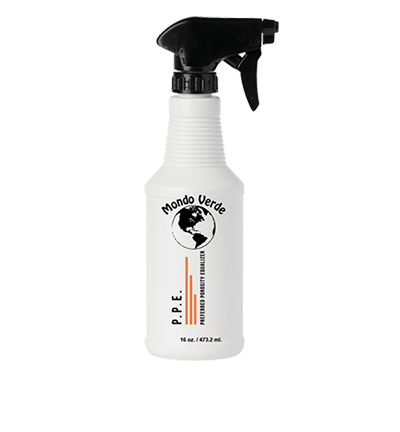 I then used the Mondo Verde Sweet Water and Solza treatment, following the instructions to achieve optimum results to rebuild the hair from the inside out, rinsed and towel dried the hair, then drenched it with PPE to equalize the porosity. I then dried the hair. 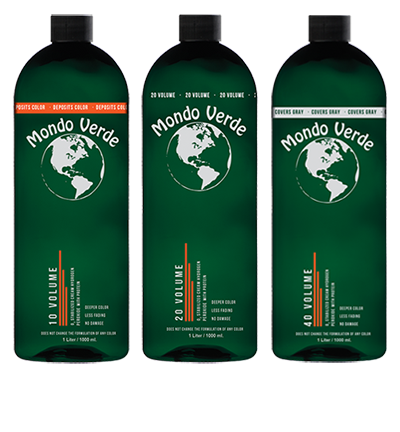 Let me add that you must always follow the Mondo Verde instructions. Using Mondo Verde Superfast Bleach and Mondo Verde 20 Volume Peroxide, I applied the mixture at the back of the head and worked my way to the front. I processed until I reached the desired lift which was platinum blonde for this client. 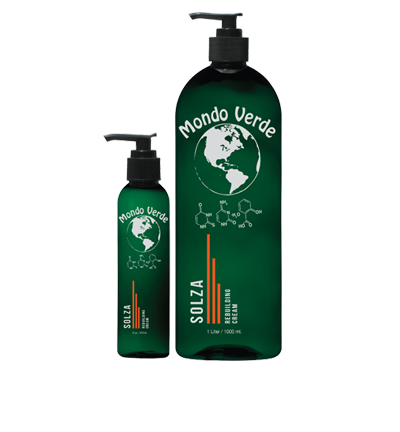 I then shampooed with Mondo Verde Clean Start Shampoo and repeated the Mondo Verde Sweet Water and Solza treatment and PPE application as before. I then blow dried the hair and did lowlites. 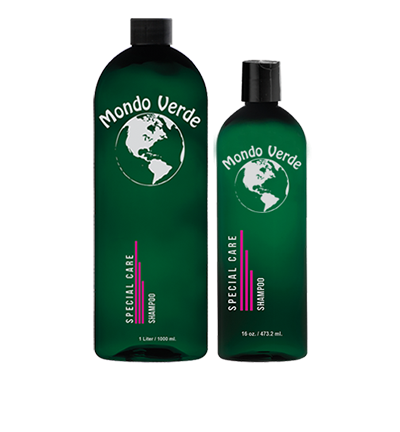 I then shampooed with Mondo Verde Clean Start Shampoo and sealed the hair with Mondo Verde Moisture Maintenance. To style her hair I sprayed Preferred Texturizing Serum in the dry hair and used Mondo Verde Glaze ‘n Shine for volume and bounce. 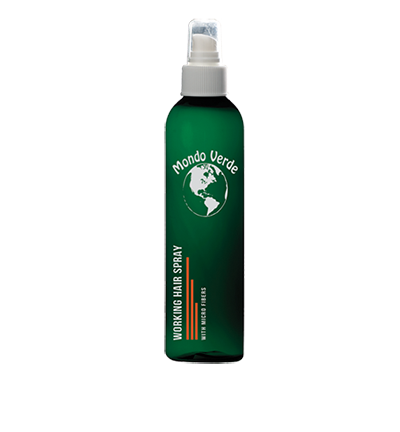 To finish I used Mondo Verde Working Spray which allows you to work the hair to achieve the desired look and hold it in place. 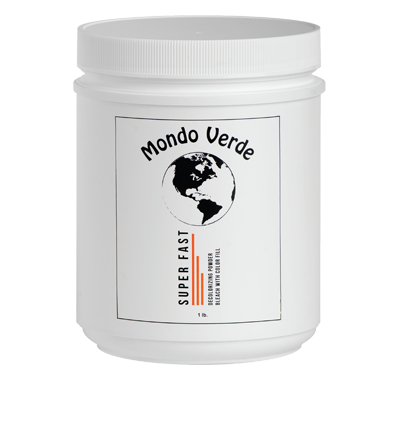 Without these Mondo Verde products, it would have been impossible to achieve this look. 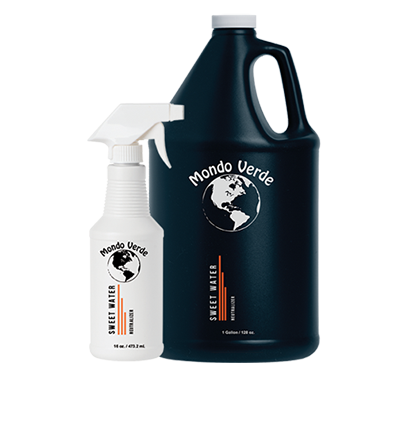 I have been behind the chair for 35 years, and there is no other product that performs like Mondo Verde!